This book reviews chiral polymer synthesis and its application to asymmetric catalysis. 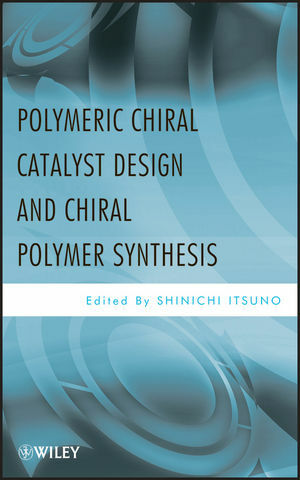 It features the design and use of polymer-immobilized catalysts and methods for their design and synthesis. Chapters cover peptide-catalyzed and enantioselective synthesis, optically-active polymers, and continuous flow processes. It collects recent advances in an important field of polymer and organic chemistry, with leading researchers explaining applications in academic and industry R & D.
Shinichi Itsuno, PhD, is a Professor at Toyohashi University of Technology. His research focuses on the interface between organic chemistry and polymer chemistry, and is especially concerned with asymmetric synthesis, reactive polymers, and new polymer synthesis. Dr. Itsuno has written over a hundred papers, as well as thirty book chapters.